The MOH 2000 is an internet enabled Music On Hold player that is attached to any PBX to play messages when callers are put on hold. The unit is designed for applications where high quality audio content needs to be distributed over the internet to multiple locations simultaneously across the globe. The MOH 2000 requires an Ethernet internet connection to download audio files from a designated FTP server. The MOH 2000 stores the audio in MP3 format to achieve superior quality audio playback. As the audio files are stored in non-volatile flash memory the content is retained even after power failure. 100% Digital Playback ensures reliable 24/7 operation. If power to the unit is lost, unit immediately returns to continuous playback with all settings without human intervention. Pre-loaded with a generic file with great sounding music mixed with intermittent "thanks for holding…" messages. 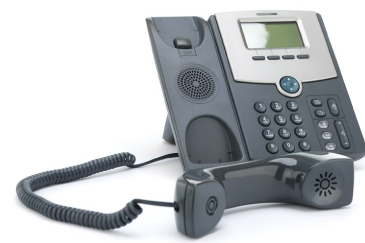 Easily connects to any "music-on-hold ready" PBX or KEY system - 95% of all phone systems. Ethernet cable can be directly connected for internet FTP sync of updates. The MOH 2000 has the capability to update its contents via a broadband internet connection using standard FTP protocol from any FTP server. This effectively eliminates the need to dedicate servers for content management. A Content Management Software (CMS) is provided that can be installed in any PC to manage thousands of units across the globe. 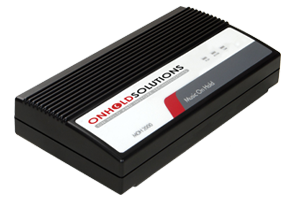 Installing the MOH2000 on to your customer's Local Area Network (LAN) is easy; just connect the unit to the LAN via the built-in Ethernet Port and power up the unit. The MOH 2000 will automatically assign itself an available IP address and the Gateway (using DHCP). Configuring the unit can be accomplished by using the configuration software provided along with the unit. The unit's built in diagnostics help you to check whether connection to the FTP server has been established. A Content Management Software (CMS) is used to manage remote units installed at the customer's site. Thousands of units can be managed using the CMS making it an ideal product for MOH content providers, multi-location businesses, call centres and any business that needs regular content update. The MOH 2000 checks the specified FTP server daily at a programmed time (example: daily at midnight) and downloads fresh content when available. The entire operation is secure since each MOH 2000 has a unique serial number associated with it and the unit's authentication is done prior to each download. An on demand download of fresh content from the CMS to the MOH 2000 can also be achieved if desired (requires Static IP address at the customer's site). bit rate of 32kbps and a 32K sampling rate for MP3.